DESOTO—At the January 14, 2019 regular meeting, the DeSoto ISD Board of Trustees approved district Superintendent D’Andre Weaver’s recommendation of Claude Mathis as the district’s next head football coach and assistant athletic director. Mathis returns to DeSoto from Marshall ISD where he has served as the athletic director and head football coach since 2017. While there, Mathis led the team to consecutive district championships and was awarded back-to-back coach of the year honors. From 2014 to 2017, Mathis served as the running backs coach at Southern Methodist University under former Mustangs head coach Chad Morris. Mathis and former DeSoto ISD Athletic Director Pam DeBorde. From 2008 to 2014, Mathis served as DeSoto High School’s head football coach. During this period, Mathis accumulated a 74-18 record and led the Eagles to consecutive state semifinal appearances and a position as a top nationally-ranked and powerhouse program as noted by Sports Illustrated, Rivals and MaxPreps. While at DeSoto, Mathis won district in 2012 and 2013 and finished regular season competition as co-champions in 2008, 2009, 2010 and 2014. Mathis’ DeSoto football teams advanced to the state quarterfinals in 2010, 2012, and 2013, and saw state semifinal finishes in 2012 and 2013. During this time, the Eagles averaged 551 yards per game, a best in the nation for total offense, breaking the Texas University Interscholastic League’s then-Class 5A state record. In addition to his duties as a head football coach and assistant athletic director, Mathis also coached Boys Track. In 2012, Mathis coached the DeSoto Eagles boys’ track team to state championships in the 4×100 and 4×200 events and won the overall 2012 state track championship. Mathis was named Coach of the Year in 2008, 2010 and 2012. Prior to his tenure at DeSoto High School, Mathis was the head football coach at Lyndon B. Johnson High School in Austin from 2005 to 2008 during which he was named the Class 4A Coach of the Year by the Texas Sports Writers Association. In 2004, Somerville ISD gave Mathis his first head football coaching opportunity. While at Somerville, Mathis also served as the district’s athletic director and the head girls and and boys track coach. Before arriving at Somerville ISD, Mathis served as the offensive coordinator and girls track coach at Austin Anderson High School from 2000 to 2004. In 1998, Mathis graduated from Southwest Texas State University in San Marcos which has since been renamed Texas State. There, he earned a Bachelor of Science in Exercise and Sports Science, with a specialization in Special Education. While at Southwest Texas State, Mathis competed as a running back for the Bobcats, setting the all-time Southwest Texas State and the Southland Conference rushing record. His performance garnered two All-American honors. 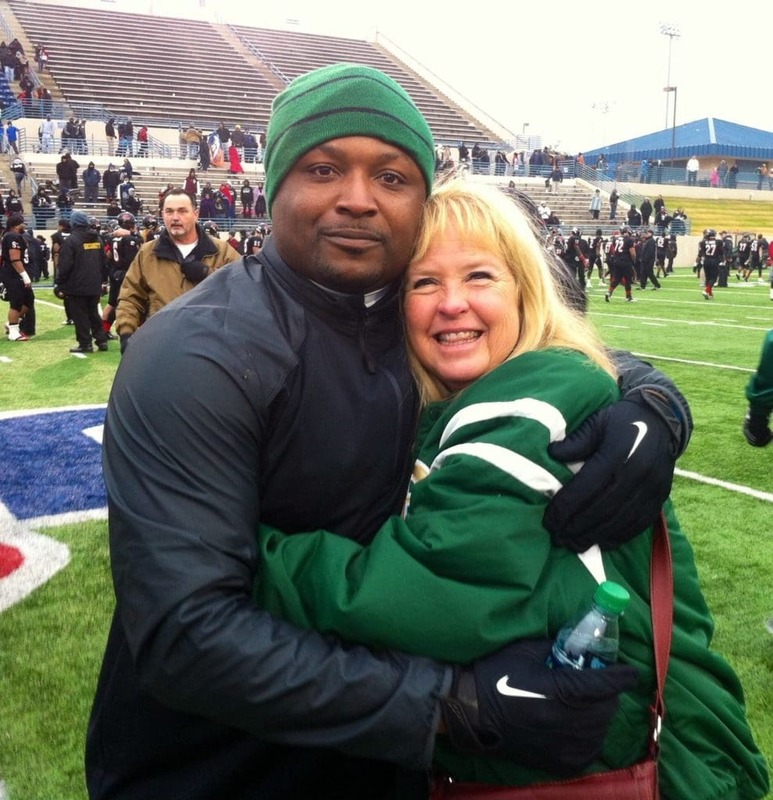 Mathis was one of more than 100 applicants to apply for the DeSoto High School head football coaching position. ● November 26 –​ A group of parents conversed with trustees after the Board Meeting to discuss concerns regarding the DeSoto High School football program. ● ​November 29 –​ DHS Principal Shon Joseph and Then-DHS Head Football Coach Michael Robinson held a Parent Meeting to discuss concerns related to the school’s football program. 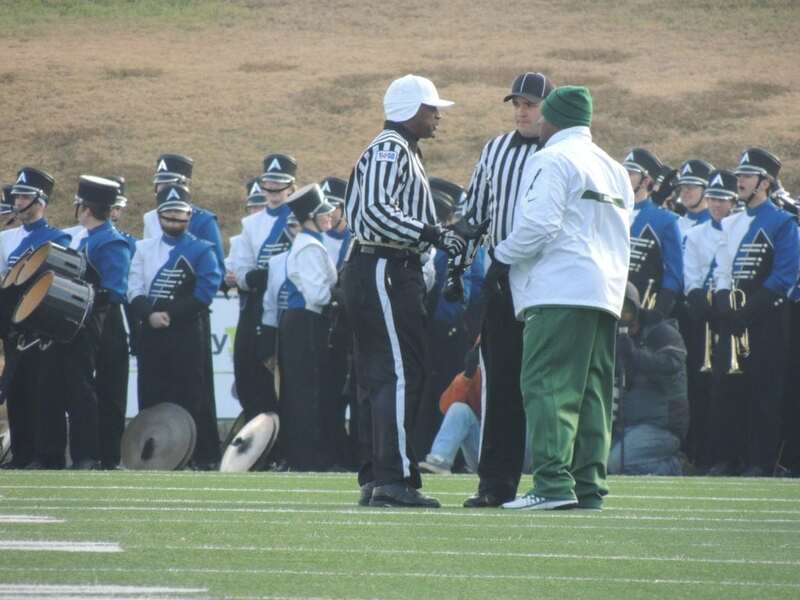 ● December 11 –​ DeSoto ISD posted the head football coach position. ● December 12 –​ District Chief of Staff Sonya Cole-Hamilton and DHS Principal held a Think Tank meeting with parents, students and members of the community. 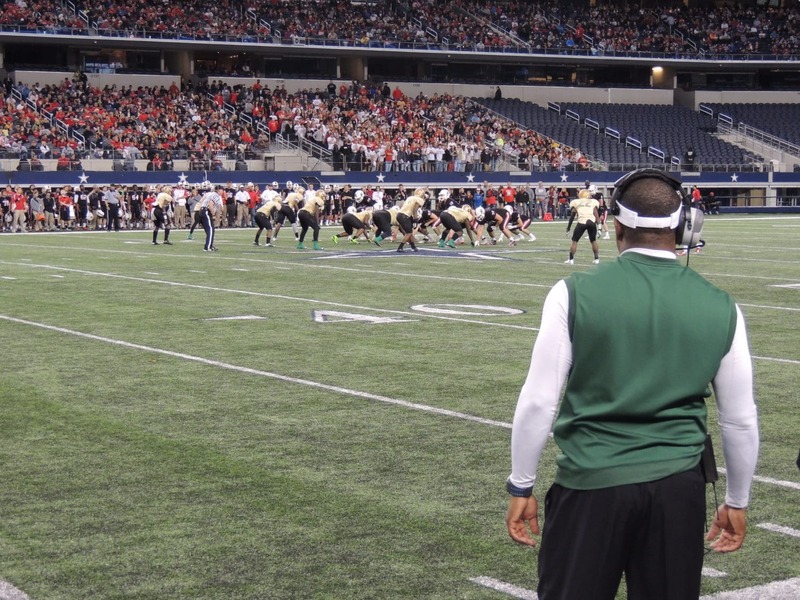 ● ​December 21 – ​DeSoto ISD published an online survey to gather feedback regarding the football program, desired characteristics of the next coach and the coach selection process. ● ​January 11 – ​The screening committee interviewed six candidates and provided a consensus recommendation for two finalists. ● ​January 11 (PM) –​ The two finalists presented before an Advisory Council which consisted of students, staff, middle and high school parents, community members and alumni. ● January 11 (PM) –​ The superintendent received the feedback forms, made a final candidate. ● ​January 14 –​ The Superintendent presented a recommendation for hire to the Board of Trustees.